According to producer Bruce Spiegel, it was his during his second interview with drummer Paul Motian that compelled him to complete the film. 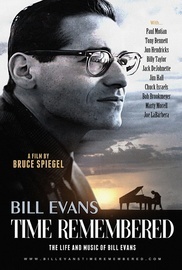 Spiegel has also noted that several of the people he interviewed in the making of the film are now deceased including Paul Motian, Pat Evans, Connie Atkinson, Jim Hall, Frank Collett, Orrin Keepnews, Gene Lees, Bob Brookmeyer and Don Friedman. 80 Comments. Add your thoughts.